If you just realized that daily vitamin you’ve been taking actually expired months ago, there’s no need to panic. The expiration date listed on vitamins is based on potency, not safety. As long as there is no mold growing on your vitamins, you can breathe easy. You might not reap the same benefit from those pills, but you also likely haven’t been putting your health at risk. The Food and Drug Administration (FDA) does not require expiration dates on dietary supplements, including vitamins and minerals. Manufacturers may choose to print them on products—and if so, they may be phrased as “expires on”, “best by”, or “use by”. In any case, if a manufacturer does choose to include a date, the FDA requires they have “valid data demonstrating that it is not false or misleading.” In other words, manufacturers should have internal research verifying that potency is maintained through that date. Expired vitamins are safe to take, but may not be as effective. At the expiration date, the product should still contain 100 percent of the added dietary supplement ingredients listed on the label, as long as it was stored under correct conditions. After such date, those amounts can progressively decline. It’s no cause for concern over potential harm or side effects, but it does mean you may not get the specified dosage. You’re better off tossing them and grabbing a new package at the store. There is one caveat to the above: if your expired vitamins have visible mold growth or a very strange odor, that’s a red flag. They may be risky to consume due to microbiological contamination. Stop taking them and dispose of them properly. Pregnancy is one time when it’s particularly important to discard expired vitamins. Prenatal vitamins contain folic acid, which is essential for reducing the risk of neural tube defects in the developing fetus. If you’re using expired prenatal vitamins, you risk not taking the correct amount of folic acid. If you are pregnant and realize your prenatal vitamins are expired, don’t let anxiety about it ruin your day. More than likely, even if your vitamins are a year or two expired they still retain most of the folic acid listed on the label. Just take a deep breath and pick up a new prenatal the next time you head to the store. Container cap – Similarly, the type of cap—screw-on versus flip-top—may impact shelf life. If a flip-top cap does not create an appropriate seal when closed, your vitamins are exposed to more humidity which makes them break down more quickly. Vitamin C – This vitamin is particularly susceptible to deliquescence, a process in which the vitamin starts to absorb some of the relative humidity in your air at home. As it absorbs the moisture, it loses potency. 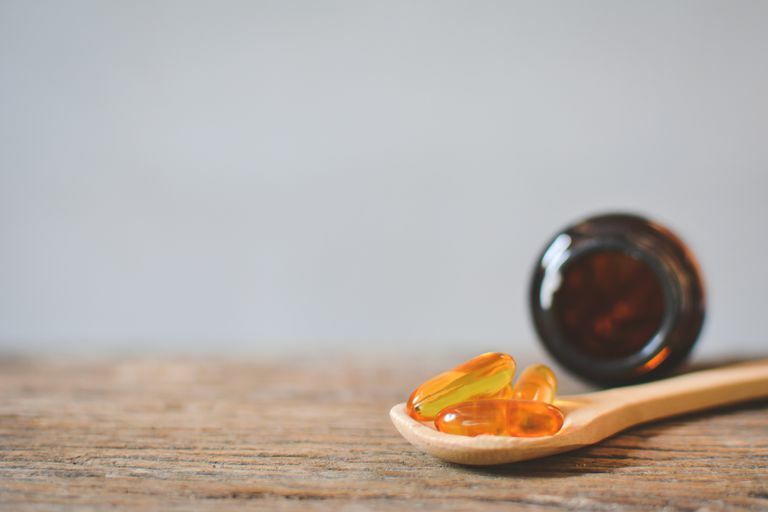 If the product isn’t packaged properly, or if you’re opening and closing it frequently in a humid environment, your vitamins will break down more quickly. Vitamin K – When combined in a multivitamin that also contains minerals, Vitamin K may degrade more quickly. Centrum: All Centrum products are assigned an expiration date based on the least stable ingredient in the product. All ingredients should be present in the amount listed on the label until the last day of the month of expiration. NOW Foods: All NOW supplements have an expiration date printed on the package. If proper storage procedures are followed, products will retain full potency through this date. Swanson Vitamins: Products will either contain a best-by date or a manufacture date. If they contain a manufacture date, they recommend that most products are consumed within 2-3 years of such date. Liquids and probiotics should be consumed within 1 year. Nature Made: Vitamins and other dietary supplements include an expiration date and guarantees potency through such date. The way the date is set varies based on the type of product - there is not a specific time frame applied to all vitamin products. Priority One Nutritional Supplements: These do not currently contain expiration dates, as the company states they are working to authenticate expiration dates with stability testing. They currently recommend a two-year shelf life from the time of purchase, based on historical data. Take some time to do an inventory of your vitamin stash. If you do discover any expired bottles, dispose of them properly. Remove the pills from the original container. Place the vitamins in a disposable container or bag with coffee grinds, cat litter, or another undesirable substance. When they’re mixed with these, curious children or pets are less likely to find them in the trash. Close the container or seal the bag. Place the entire container/bag in the trash. The EPA does not recommend flushing expired vitamins down the toilet. The substances may pass through wastewater treatment plants and end up in lakes, rivers, or other sources of drinking water. Food and Drug Administration. Dietary Supplement Labeling Guide: Chapter I. General Dietary Supplement Labeling. 2005. NSF International. Stability Testing for Dietary Supplements. 2011. World Health Organization and Food and Agriculture Organization of the United Nations. Guidelines on food fortification with micronutrients. 2006.